Author: Carol J. Palmore, Esq. 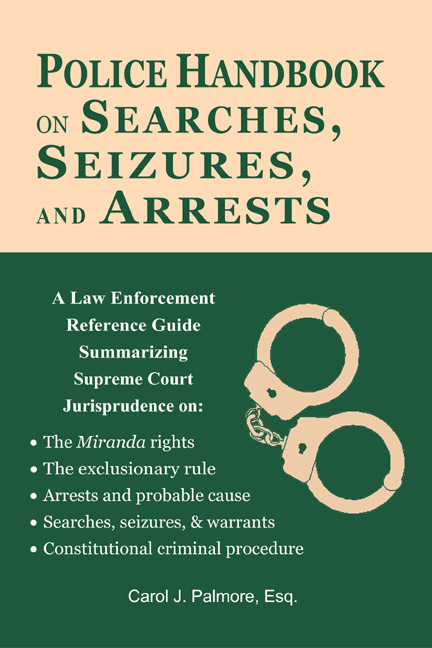 This law enforcement reference guide summarizes landmark Supreme Court cases dealing with the Miranda rights, the exclusionary rule, arrests and probable cause, searches, seizures, warrants, and other subjects relevant to constitutional criminal procedure. Written with a target audience of police officers in mind, it is designed to help state and local law enforcement collect evidence and work with prosecutors in adjudicating criminal cases without violating the many constitutional protections that often lead to the exclusion of critical evidence. 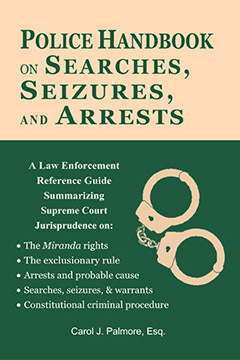 This is the essential procedural handbook for law enforcement officers seeking to guarantee citizens’ rights and thus safeguard critical evidence from exclusion on the basis of constitutional violations. CAROL J. PALMORE, ESQ. served in law enforcement for ten years before obtaining his juris doctor degree. He currently provides workshops to law enforcement officers and citizens on criminal procedure and citizens’ rights.